Grab your friends and ready your arrows! Despite the OUYA’s shortcomings, it does have it’s own share of gems to be admired. Take for instance the title, TowerFall, an acclaimed app that will soon be making its way onto the PS4 and PC. 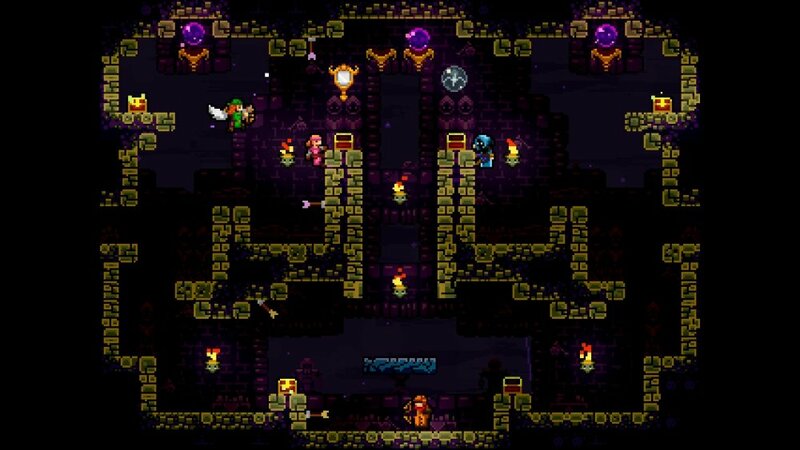 TowerFall’s graphics and side-scrolling/2-D style reminds us of Terraria, but plays more like a Super Smash Bros. game. Primarily, it’s a multiplayer, combat arena deathmatch type of game where players attack one another with various medieval weapons and try to be the last one standing. Players can only take one hit per life, so it’s all about positioning and using the various weapons and power-ups strategically. It’s already well known for being a simply, party type game to quickly pick up and play with multiple friends at once; a must have for the OUYA system. While it is mainly known for its multiplayer combat, we are happy to hear that a 12-player online co-op mode will be available within. Needless to say, we’ll be looking forward to TowerFall Ascension supporting our PS4 and PC libraries come 2014. Page created in 0.7181 seconds.